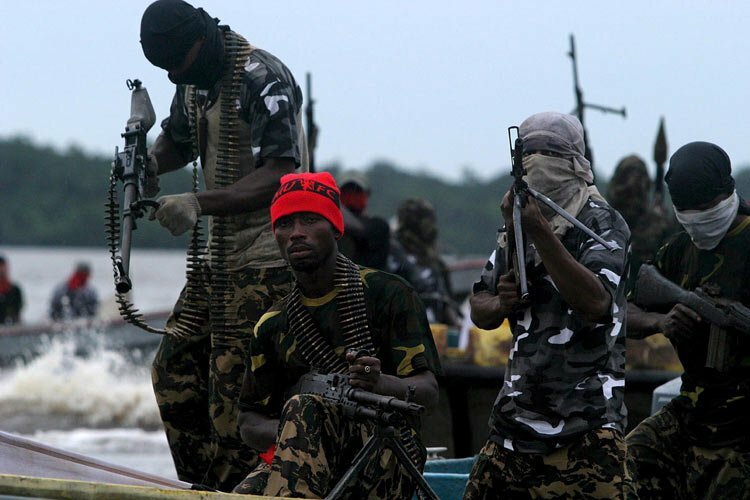 Niger Delta militant group, Concerned Militant Leaders (CML), has claimed responsibility for yesterday’s attack at Onitsha river, Anambra State, where eight soldiers were feared dead. Spokesman of the group, popularly known as General Ben, revealed this yesterday in the social media. He also claimed the group executed the attack in Nkpor where three persons were killed and the burning of a police patrol van in Onitsha. General Ben, in the statement, said the group’s action was to show the Federal Government and security agencies that they should not underrate the activities of the Niger Delta militants, or limit their operations to the region. The CML group said the members were working in conjunction with the Niger Delta Avengers (NDA) to cripple the nation’s economy. Ben declared: “My men were responsible for the killing of eight soldiers at Onitsha river. They were killed when my men attacked their military gunboat in Onitsha. We are responsible for the incident in Nkpor near Onitsha. “It may sound doubtful; but we want to tell Nigerians that we are not limited to Niger Delta region. This is a warning to the Nigerian government that no amount of security threat will deter us. More attacks will still take place. “We stand by every ultimatum given to any group or company. We will touch the soul of the economy of this nation. We are not interested in resources but, sovereignty”. General Ben further said it was not their intention to strike yesterday, as it coincided with the anniversary of the Movement for the Actualization of Sovereign State of Biafra (MASSOB). “We had to execute the operation to teach the military lesson. We have been quiet for a long time, but time for action has come”, he vowed. Good Job boys but please do not limit your actions to south east south south . Spread it up to south West , middle belt and the north . Just one DROP in south west in particular will send a good message to the treacherous yorubas who are the strong backers of the hausas.